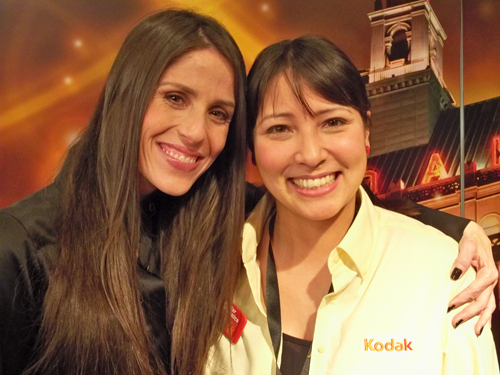 There were a lot of celebrities at CES - like Soleil Moon Frye. I know she is best known for playing Punky Brewster, but I am also really excited for her new movie "For Better or Worse" with Janeane Garofalo! She is super sweet also. 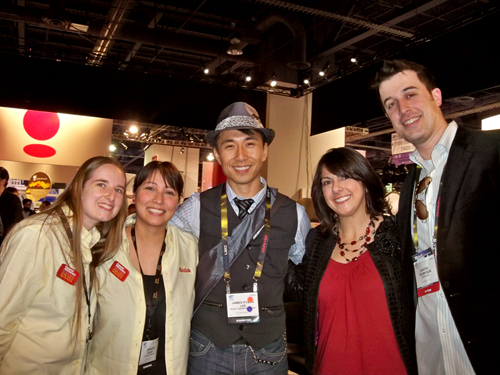 As you can see... all of us... big Heroes fans... were excited to meet James Kyson Lee... Ando from Heroes. What a really nice guy. He wasn't in a hurry and truly glad we watched his show. 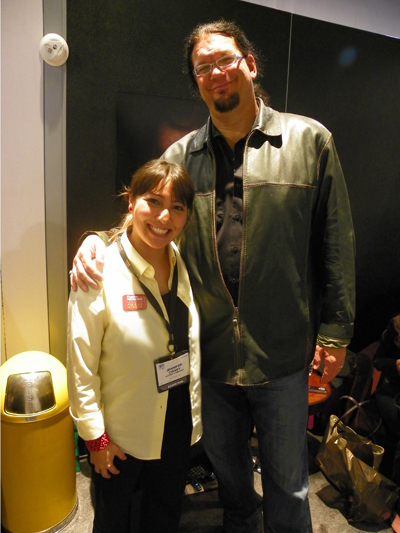 Everyone was impressed that I met Penn Jillette - Aaron was impressed I met someone taller than he is. longtime reader here - it's funny, i follow soleil on twitter and when she said she was guest speaking @ the kodak booth, my first thought was, "hey, i hope jenny gets to meet her! she is always working @ the kodak CES booth!" awesome. congrats!